We are involved in providing Wedding Catering Service to our valued clients.We are engaged in offering Wedding Catering Service to our client. 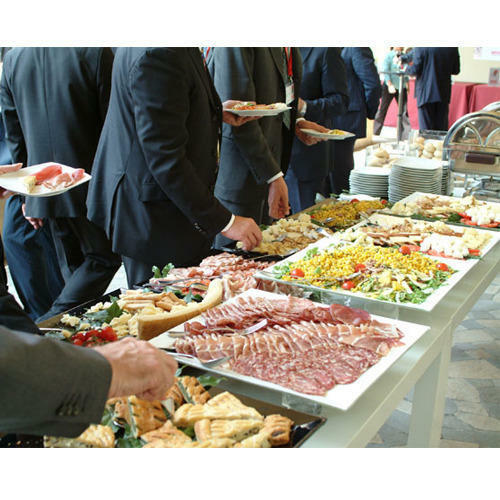 Our catering services for offices includes arrangements for beverages, snacks and light / heavy lunch or dinner, as desired by clients. We expertise in offering different kind of cuisine such as North Indian, South Indian, Pure-Vegetarian, Chinese etc., which are prepared under most hygienic conditions. Our catering services offer clients sumptuous delicacies as per their choice. Services are available at industry leading prices and on decided terms including timing, menu, costWe are able to prepare and serve food for all levels of events. From starters to the main course and from drinks to beverages everything is the widely reckoned specialty of our expert team. Further, our chefs and cooks make sure to use best in class ingredients to impart total quality to the clients.